The ‘world’s first’ Scotch-Japanese whisky hybrid has been created in homage to the ‘Scottish Samurai’, Thomas Blake Glover. Commissioned by TBG & Co and created by Adelphi Distillery Ltd, The Glover is a blend of Scottish and Japanese malt whiskies and will be released as a 14- and 22-year-old in November. The Glover 22 Year Old is a blend of three single casks – 65% of the blend is from Hanyu in Saitama, Japan, 35% is from Longmorn in Moray and just 1% comes from Glen Garioch in Aberdeenshire. Just 390 numbered bottles of the 53.1% abv, non-chill-filtered whisky will be released for around £1,050 each. The brand is named after Glover, a Scottish merchant who was born in Fraserburgh, Aberdeenshire in 1838 but left Scotland to trade in Japan aged just 21. In the years that followed he became a key figure in the industrialisation of Japan, creating the country’s first coal mine at Takashima, helping to found the shipping company that grew to become Mitsubishi Group, and was involved in the creation of the Japan Brewing Company that eventually became Kirin Group. As such he was bestowed with the second class Order of the Rising Sun. 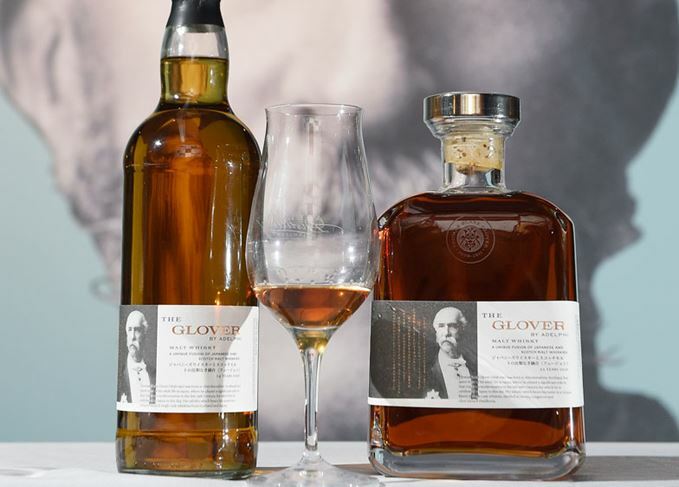 The Glover 14 Year Old will be the first in a series of regular releases from the Scotch-Japanese whisky brand. A second blended malt has also been created by Adelphi with wider availability. The Glover 14 Year Old is also non-chill-filtered and bottled at 44.3% abv, although the distillery make-up of the blend remains a secret. Some 1,500 bottles will be available come mid-November for around £95 each. Adelphi also plans to release further expressions of The Glover in the future. The project was commissioned by the directors of TBG & Co, James Millar, Graham Langley and David Moore.